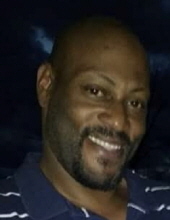 John Earl Hurd, III, 47, of De Kalb, Texas died Tuesday, December 4, 2018 at a Texarkana, Texas hospital. John was born July 5, 1971 in De Kalb, Texas to John and Minnie Cheathem Hurd. He was employed by Pilgrims Pride in DeQueen, Arkansas. He is survived by his mother, Minnie Hurd of De Kalb, Texas; his father, John Hurd of Oklahoma City, Oklahoma; his girlfriend, Rhonda Holder of Broken Bow, Oklahoma; two daughters, Lilly Hurd of Broken Bow, Oklahoma and Annah Hurd of Broken Bow, Oklahoma; two sons, Johnathan Hurd of Broken Bow, Oklahoma and Joseph Hurd of Broken Bow, Oklahoma; three sisters, Constance Hurd of Dallas, Texas, Dee Dee Hurd of Tulsa, Oklahoma and Kelly Hurd of Arizona; one brother, Renior Hurd of Texarkana, Arkansas; the mother of his children, Elizabeth Hurd of Broken Bow, Oklahoma; four grandchildren and one on the way, Neveah Tinnell, Ezekiel Bailey, Jayden Hurd, Emberlyn Hurd; and numerous other relatives and friends. Services will be 1:00 P.M. Tuesday, December 11, 2018 at Bates Family Funeral Home in De Kalb, Texas with Rev. Kevin Haywood officiating. Interment will follow at De Kalb Cemetery in De Kalb, Texas. Visitation will be held 6:00 P.M. until 8:00 P.M. Sunday, December 9, 2018 at Bates Family Funeral Home in De Kalb, Texas. To send flowers or a remembrance gift to the family of John Earl Hurd, III, please visit our Tribute Store. "Email Address" would like to share the life celebration of John Earl Hurd, III. Click on the "link" to go to share a favorite memory or leave a condolence message for the family.